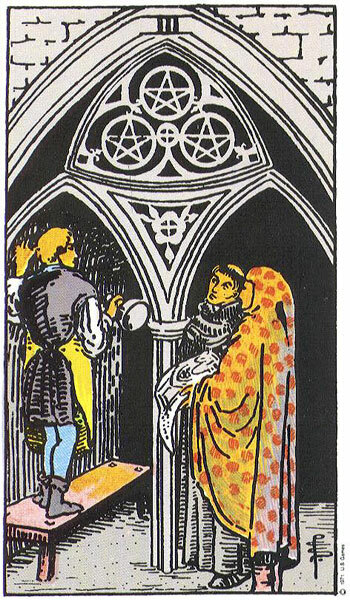 Following on from yesterdays look into how the various Court Families of The Tarot might be celebrating, or not celebrating The Holidays, today we will take a look at The Swords and Pentacles Families along with the remaining Major Arcana Cards. The Swords Family are a little bit nervous and uptight about the Holidays ahead. Memories of this time last year still haunt them. 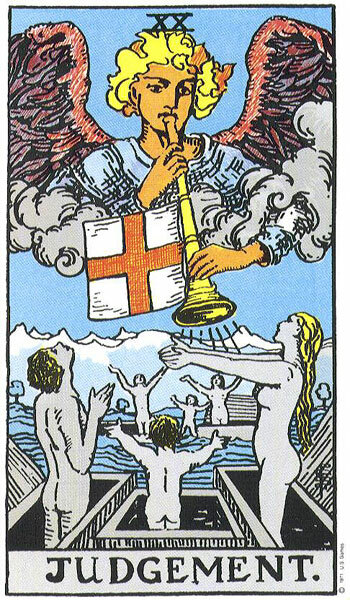 To be honest, The King of Swords has made it clear that he wants nothing to do with it and has told everyone not to expect him to join in any of the celebrations. He thinks it is a lot of nonsense and a waste of time. 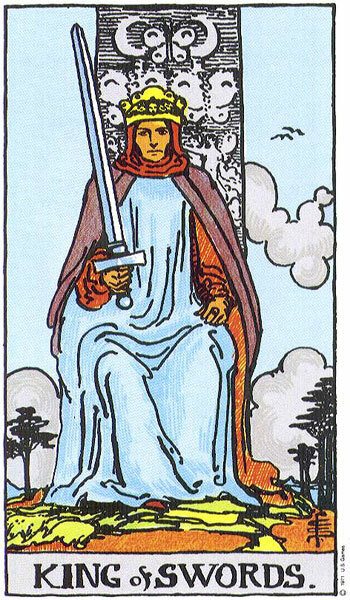 The Queen of Swords has laid down strict rules and guidelines about how this year will be different. She will stand for none of the upset and stress she had to endure last year. She has made up her mind that she will have a different attitude this Holiday Season and will be very well organised so that she does not become overly stressed. She has ordered her offspring to come home and she expects them to obey. Just for once she would like a calm, happy and sociable Holiday but can she rely on the rest of her family to follow suit? The Queen of Swords wants everything to be different this year and so insists that instead of giving the Knight and Page the usual book vouchers, new school satchel for The Page and a smart fountain pen for The Knight, she wants their gifts to be more imaginative. 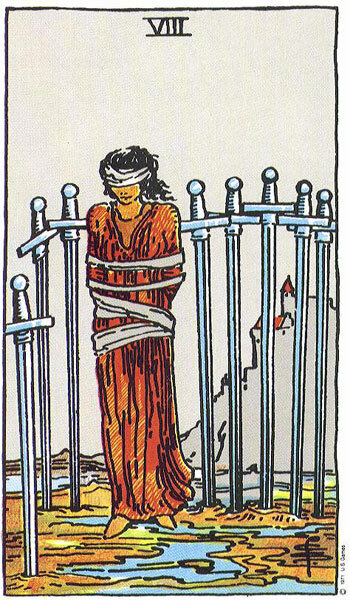 The King of Swords reluctantly agrees to her demands. He saw the state she got into last year and certainly does not want a repeat of it. However he hates going gift shopping and thinks it all a waste of good money. Instead he sends his secretary out to do his gift buying for him. The only thing is he doesn’t give her any guidelines except that they have to be sensible or educational. He expects her to know what he means and offers no more suggestions. His nervous secretary will have to use her wits to get suitable presents. She has also been told to be back at her desk in two hours. Stressed and nearly killing herself running across roads without looking, she is heading for the nearest boring store when she gets a phone call from The Queen of Swords. 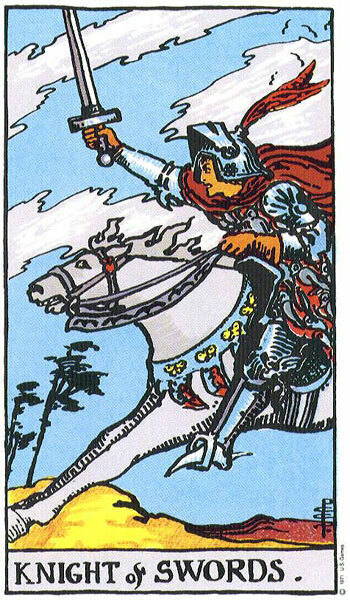 The Queen of Swords is a smart lady and knew exactly what her partner, The King would do. She instructs the nervous secretary to go to the Mall instead of the old reliable book store and gives her a list of shops she might try along with numerous suggestions for gifts. The poor secretary expresses her concern as to what The King will say when she comes back to the office with the very things he told her not to buy. The Queen reassures her and tells her that she will deal with him, but to make sure that all the gifts are wrapped so that he does not know what has been bought. She tells the secretary to charge any excess to her account as The King has given his secretary a strict and tight budget to work from. The Queen has her own shopping to do, so heads off leaving her secretary in charge of her team. She makes her way to the nearest Sport’s shop and purchases a complete Hill-Walking Kit for The King; hiking boots, poles, weather proof clothes and a special compass which she has personally engraved for him. She then purchases a similar kit for herself. She plans to start the New Year with a new attitude and to spend more time with her partner. She realises they do not enjoy themselves enough and as she knows The King does like to walk and is always pointing out one mountain or another to her and its altitude, she thinks that Hill-Walking would be a past-time both of them would enjoy. Delighted with her purchases she heads back to the office. The Knight and Page have little problem buying their gifts; a new desk set for their father and engraved fountain pen. For their mother, a Tablet. Their mother complains that they do not ring her often enough. With The Page in Boarding School and The Knight in College she sees little of them. When she opens it, they will set the Tablet up for her so that she can Skype them. She will also get great use out of it. It comes with a smart sophisticated bag so that it is easy for her to carry around and suitable for bringing to the office. They want to make her happy this Holiday, especially after the disaster of the last one. 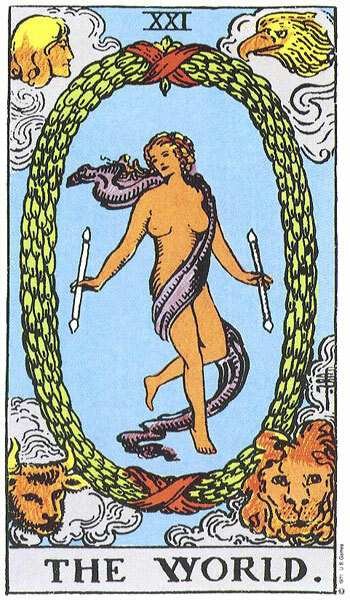 The Queen of Swords leaves the purchasing of her gift from The King up to him. As they all open their gifts, she is not surprised to discover the same bottle of perfume she gets every year from him. She has long outgrown this scent and each year brings it back unopened to the department store to exchange it for something else. Her partner, The King has a set mind when it comes to things and finds it hard to step outside the box and act spontaneously. She would dearly love to open her gift and find some expensive lingerie or even a voucher for spa treatments but he is not very imaginative and far too serious for such frivolous things. Everyone else seems to be especially pleased with their gifts, if not a tad surprised. The King is slightly confused when he sees the Hill-Walking clothes but when The Queen explains their use he thinks her very sensible. The Queen is thrilled with her tablet and gives both her sons a stiff and uncomfortable hug. None of them are used to being emotional with each other but The Queen seems intent on making changes this year so everyone is awkwardly going along with it. 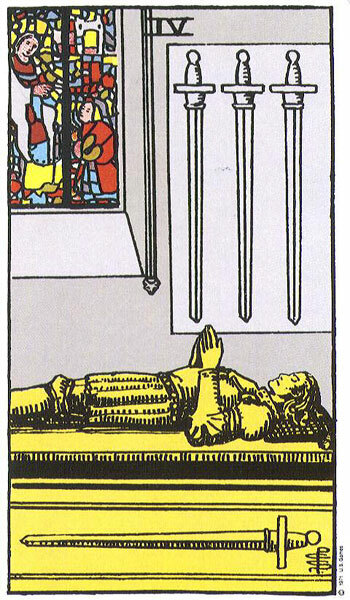 Just for this moment in time The Queen of Swords is happy and believes she has managed to pull it off, that this Holiday will be a good one with no repeat performances of last year. She is looking forward to a lot of amiable chat around the dinner table. The Swords Family sit down to their formally laid table to eat. The Queen is known to be a perfectionist so the table is immaculate and she has used a special ruler to ensure that each setting is the same distance apart. Starters go well and everyone seems to be relaxing a bit. Just as the main course is being served, The King asks The Knight how College is going? The Queen freezes. She was hoping they could get past the Holidays before she would have to tell him. Only a week ago, she had received a disturbing phone call from his College. They had tried to reach The King first but he had been in a meeting. The Queen was very grateful for such fortunate timing. She told The College that she would be dealing with the matter and not to disturb The King as he was involved in some serious business. The Knight then emailed his mother, The Queen to tell her that he had been expelled for disorderly behaviour and for driving a car across the college lawns while under the influence of alcohol. He had caused damage that would need to be paid for. The Knight had been staying at a friend’s house until he would come home for The Holidays. The Queen was horrified and said she was ashamed of him. The Queen paid for the damages but warned The Knight that he was not to open his mouth to his father until she gave her permission. The King asked The unusually quiet Knight once more how College was going? The Knight eventually replied ‘fine, just fine’. ‘Well that is strange’ said The King ‘because I was speaking to one of your college friend’s father just yesterday and he told me a rather different story’. With that The Knight pushed his seat away from the table and stormed off out the door. The King roared after him, ordering him back but The Knight just kept going. 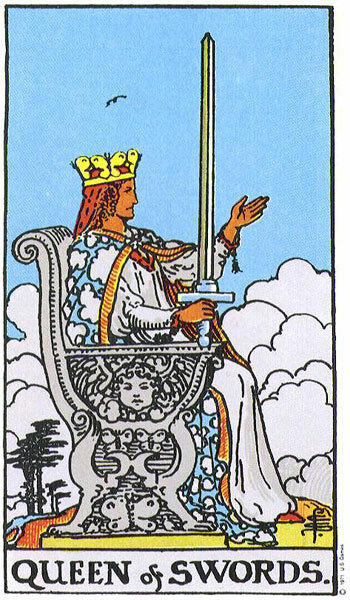 The King then turned on The Queen of Swords ‘did you know about this?’. The Queen could not lie, so nodded her head. The King announced that he suddenly had no appetite and left the table. The Page asked to go to his room. 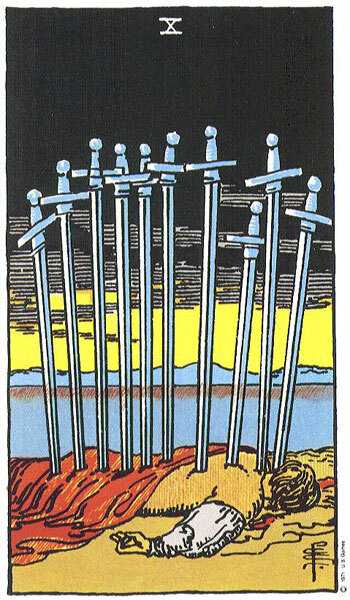 That left The Queen of Swords alone at the table she had spent so much time planning. Silent tears poured down her face as she stood up to begin removing the uneaten food from the table. The Holidays she had held out so much hope for were turning out just as they did every year. Stress, conflict, arguments and tension. She had come from a background not to un-similar, so she chided herself for being silly enough to think that she could change things so easily. She didn’t hold out much hope for the New Year if this was anything to go by. Question – You are the King of Sword’s Secretary and it has been left up to you to buy him a gift from all the Staff. What do you do, just give him a voucher or actually pick out something that you think he would like? Where would you go to shop for him and what might you buy? Someone makes an announcement at The Special Family Dinner. Which one is it, what is the Announcement and how is it Received? 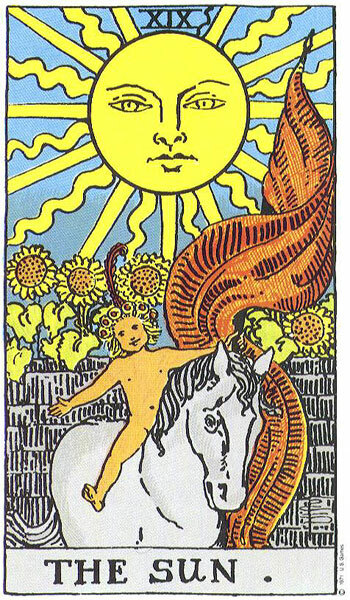 Below are some Holiday Season associations depicted through The Swords Tarot. Please feel free to add your own. 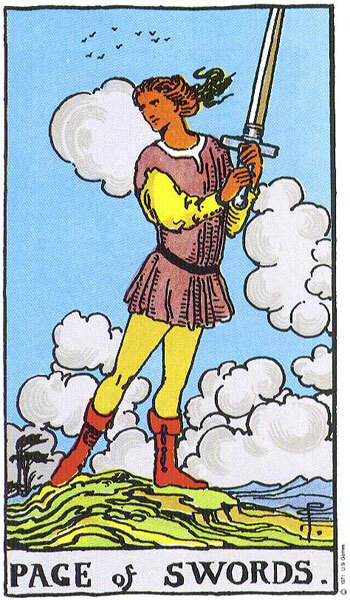 The Ace of Swords – New Attitude, A New Approach, Determination to Change things, Determination to get things right and off to a good start. The Three of Swords Reversed – Determination that there will be no arguments, hostilities and tension. Wanting a stress free Holiday. The Four of Swords Reversed – A break or reprieve from tensions, anxiety and hostility for The Holidays, being allowed home from hospital for The Holiday Season, Recharging the batteries over The Holiday Season. 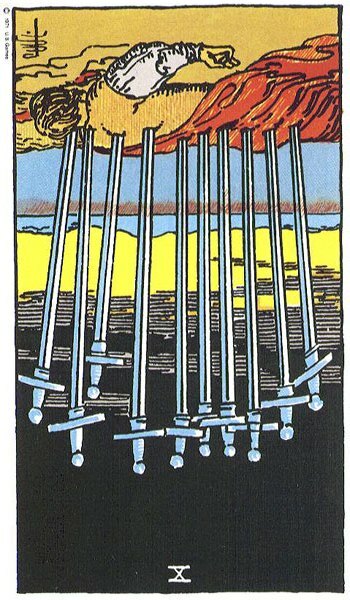 Six of Swords – Getting away from the stresses of The Holiday Season. Taking a vacation to rest. 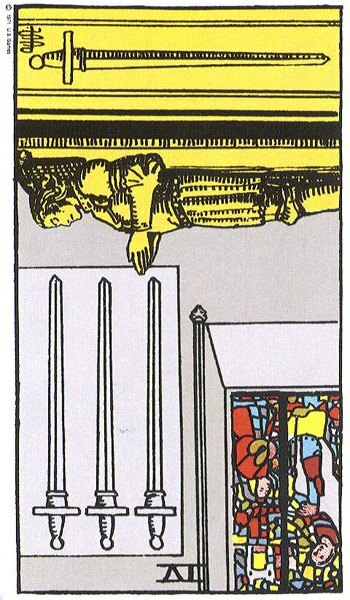 Seven of Swords – Sneaking around trying to hide gifts from children and partner. Hiding gifts where they can’t be found, having to keep secrets or tell lies in order to purchase gifts or arrange surprises. Having to really think hard to find a gift for someone hard to please. 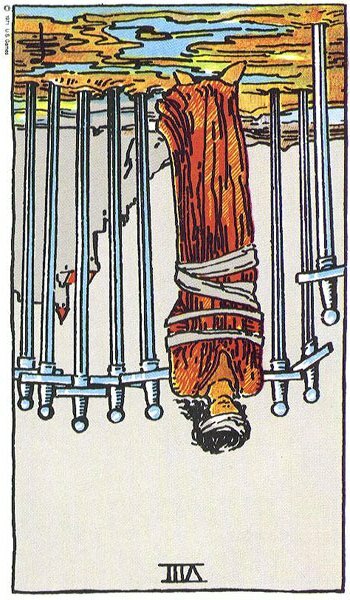 Eight of Swords Reversed – Release from the stresses and pressures of work for The Holidays, Having a positive outlook and looking forward to the Festive Season, temporary release from care for the Holidays, Release from Prison in time for The Holidays. 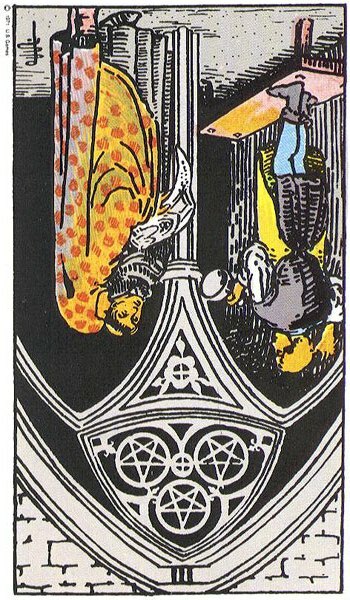 Nine of Swords Reversed – Unnecessary worry about The Holiday Season, Worries Unfounded. 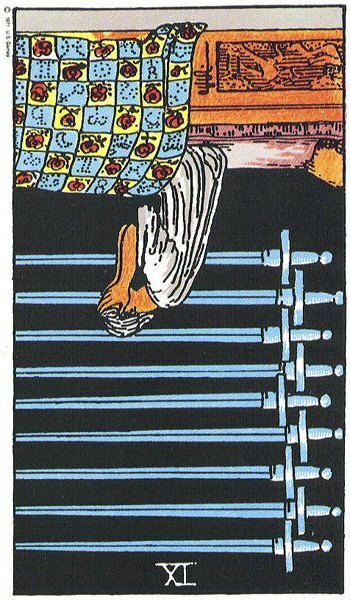 Ten of Swords Reversed – Recovering from ill-health in time for The Holidays. Things working out just in time. 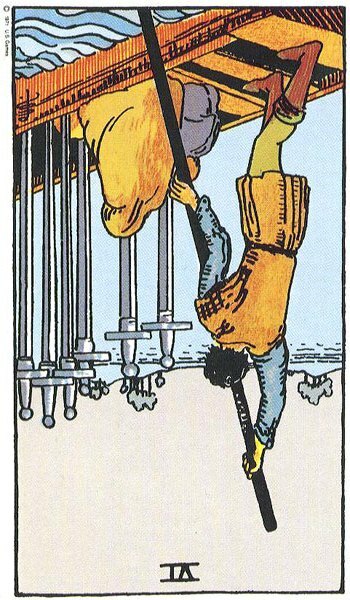 Ace of Swords Reversed – Not getting off to a good start, Negative Attitude to The Holidays, Wanting to cause trouble (digging the knife in) at family gatherings. 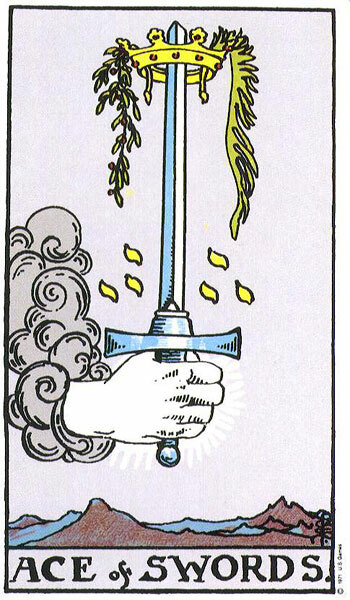 Two of Swords – Stressing about what gifts to buy, being forced to decide which side of the family you will be spending The Holidays with, refusing to put grievances aside so that family gatherings can run smoothly. Deliberately excluding certain family or friends from invites to social occasions. Not wanting to be a part of the Festivities. Wishing it was all over and everything back to normal. 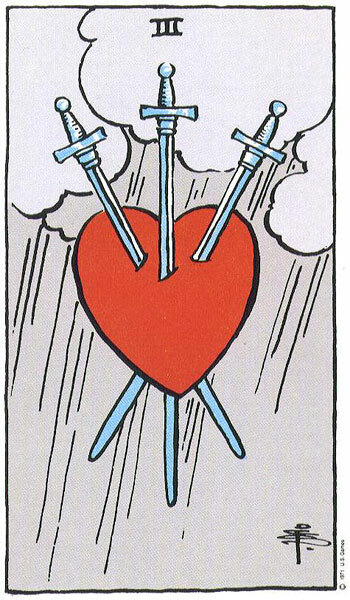 Three of Swords – Family arguments, grievances, hostility and rows causing disruption to everyone enjoying The Holidays. Family members dredging up ancient issues and quarrels. Returning unwanted or unsuitable gifts to stores without receipts and arguing with shop assistant. 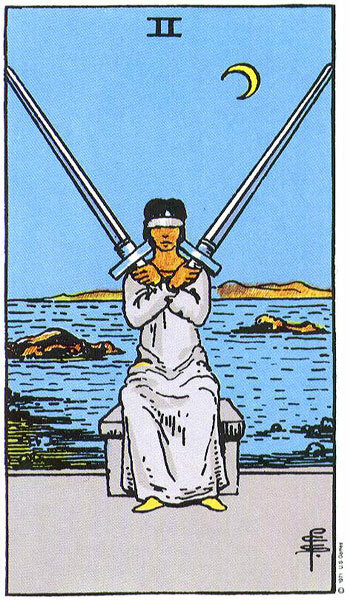 Four of Swords – Mental exhaustion due to excess worry and stress over preparing for the Holidays. As soon as you get the time off work, you come down with a cold or flu, too worn out and tired to enjoy the festivities. In hospital for the Holidays. 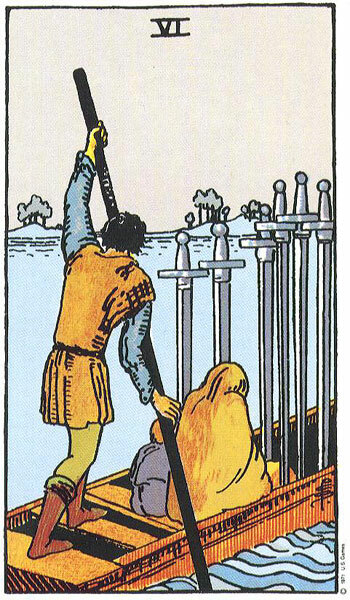 Five of Swords – Rise in domestic violence during the Holiday Season. Excess alcohol and close proximity causing tempers to flare with possible physical aggression and violence involved. One family member ruining the Holidays for everyone else. 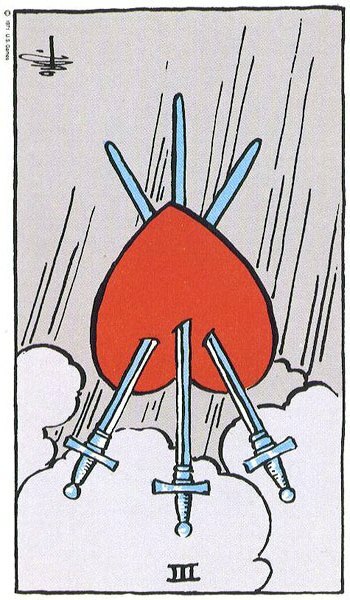 Six of Swords Reversed – Returning home for the Holidays but to hostility and quarrels rather than rest and relaxation, being duty bound to return home even if it makes you unhappy. Family rows and arguments. Never again attitude. 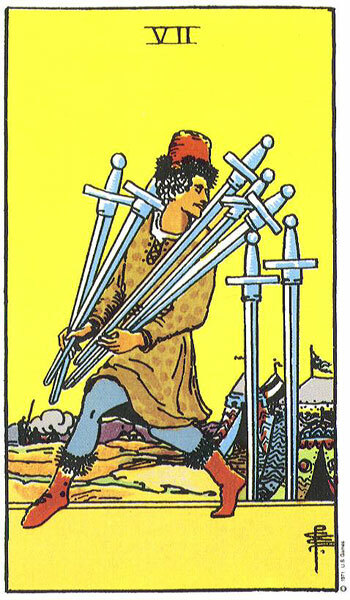 Seven of Swords – Shop Lifting on the increase during the Holiday Season, Burglaries with theft of gifts, bag snatching due to thieves knowing people carrying extra cash, family and friends stealing you gift ideas, your children discovering where you have hidden their gifts and opening, surprises ruined as secret not kept. Eight of Swords – Not knowing how you will cope over the Holidays, maybe not having enough money to buy family gifts, feeling trapped with debt after all the spending, Finding it all too stressful, feeling duty-bound to turn up at Family Gatherings you would rather avoid, feeling there is no escape from having the in-laws over. Being in Prison during the Holidays. 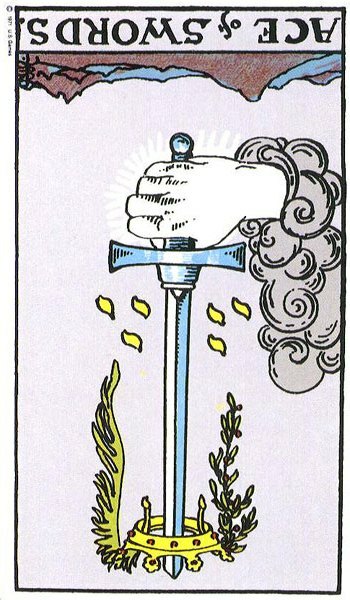 Nine of Swords – No knowing how you will afford gifts for your children and family, worrying about health issues, feeling the intensity of bereavement or loss during the Holiday Period, Feeling terribly stressed and unable to cope, feeling alone. Waking in the middle of night in a panic as you realise you have forgotten to buy something very important and now it is too late. 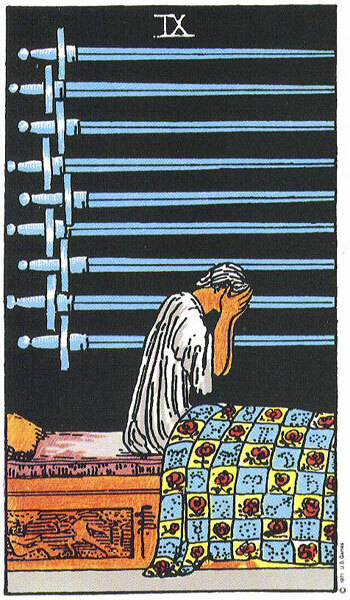 Ten of Swords – Having a Melt-Down with all the stress of the season, unable to cope with all the pressure the season brings, being ill during the Holidays. 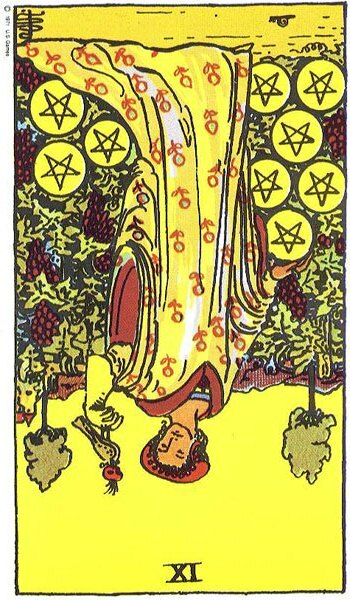 The Pentacles Family approach The Holiday Season in good cheer and goodwill, safe and secure in the knowledge that they have plenty to go around. They will not have to worry about where the money will come from to buy gifts and all the extra luxuries that make the Festive Season so special. 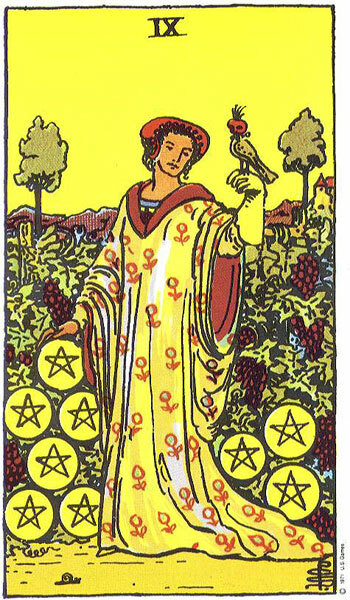 The Queen of Pentacles will delight in making her home festively spectacular. In fact the ‘House Beautiful’ upmarket home and interior décor magazine have selected her house this year for its Holiday Festive Shoot. The Queen of Pentacle’s house is certainly looking magnificent and she has gone to great lengths to make it so. She has had the builders in to do some work and repairs to their grand old house. She has used greenery from her own garden to do most of the decorating, and she just has a way to make it look so naturally and effortlessly put together. This is one of her favourite times of the year when she can really showcase her talents. She has also covered her beautiful evergreen tree in the front garden with hundreds of little fairy lights that twinkle brightly in the dark sky. The Wreath on her front door is of course handmade by herself with produce from her garden, and also items she has been collecting from the local woods in recent weeks. She manages to combine all this as well as being a busy and successful business woman. Oh did I mention, she has her special recipe puddings and cakes already baked. 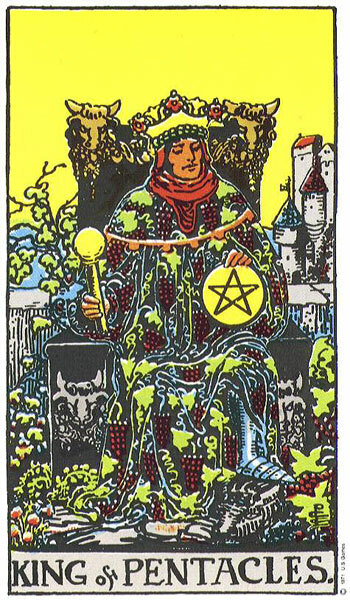 The King of Pentacles, although a very busy man will set aside the time to go gift shopping with The Queen. This is a traditional outing each year. Both dress well for the occasion and arrange for a taxi or their driver to bring them to the most fashionable shopping area. Here they will spend much time browsing before making their final selections. Their aim is to buy their Knight and Page gifts that have been well thought out, are of top quality, practical and quite luxurious. 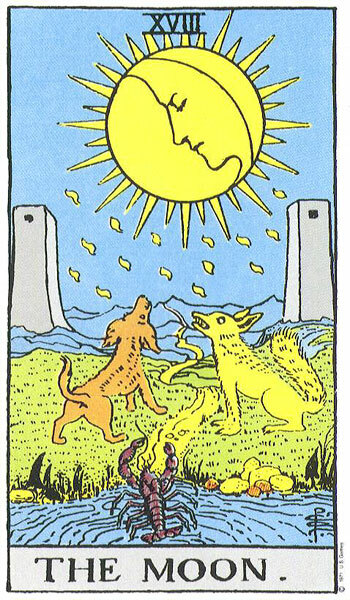 The Pentacles do not like to waste money, but this is one time of the year where they will be prepared to push the boat out. They will spend lavishly on gifts for family and friends, and of course the ever important ‘Status Gifts’ for business colleagues and customers. They will take a break from shopping for lunch in one of their favourite restaurants where a table has been reserved for them, before heading back out to complete their gift selection. They will arrive home that evening maybe tired but definitely not stressed. 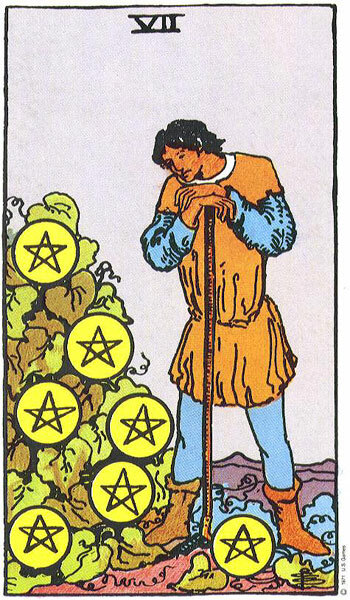 It goes without saying that The Pentacles are very charitable, and especially at this time of the year. They will make the time to ensure they donate to the most vulnerable in society. A conscientious family, The Page and Knight will probably have been encouraged to do some voluntary work, and no doubt have been involved in Fundraising Events in recent weeks. 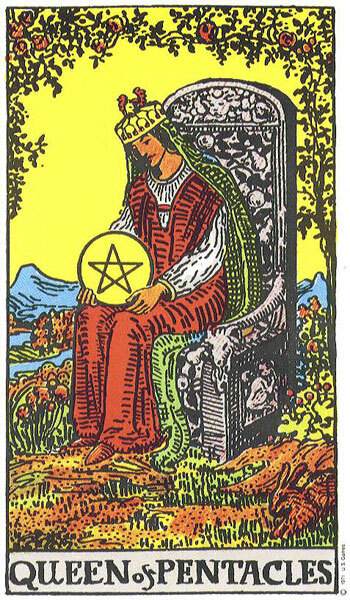 The Queen of Pentacles will already have arranged The King’s gift. Possibly, a work of art or a rare edition book he has been searching for his collection. The King, will more than likely buy her expensive jewellery and her favourite scent. The Page cannot wait to come home from Boarding School for The Holidays. He has been buying gifts each week out of his pocket-money and is looking forward to everyone opening them. 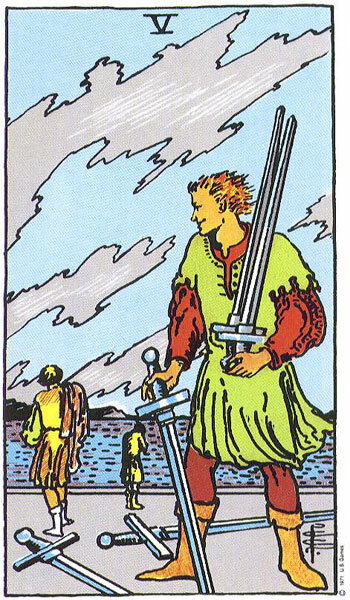 His friend The Page of Swords wishes he could come with him as The Pentacles Holiday sounds so much better than his. The Knight too will be looking forward to seeing the family and will be bringing his fiancée home to spend The Holidays with them. Just like his mother and father, The Knight of Pentacles and his fiancée have spent much time shopping for the perfect gifts. The Pentacle Family will spend a very traditional Holiday together in good cheer. They will enjoy all the family being together and will eat well and often. There will entertain a lot over the Holidays with guests coming and going and some staying over. The Pentacle Family will be seen out walking together with their dogs across parks and through the woods as they will want to ensure they get the correct balance between eating and exercising. They will have a very happy time indeed and everyone will be thrilled with their gifts. 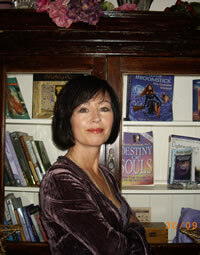 Question – You have been invited to dine with the The Pentacles Family over The Holiday Period. You will need to bring a Gift. What do you think would please them most? Someone makes an announcement at The Special Family Dinner. Which one is it, what is the Announcement and how is it Received? 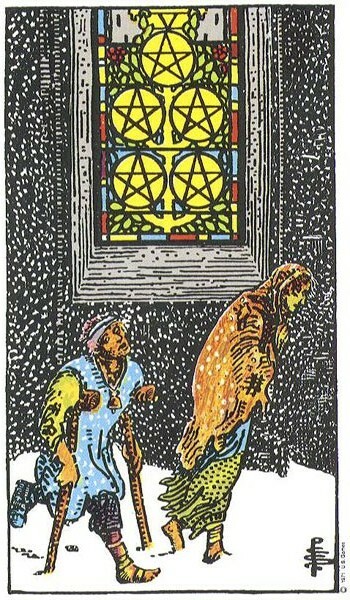 Below are some Holiday Season associations depicted through The Pentacles Tarot. Please feel free to add your own. 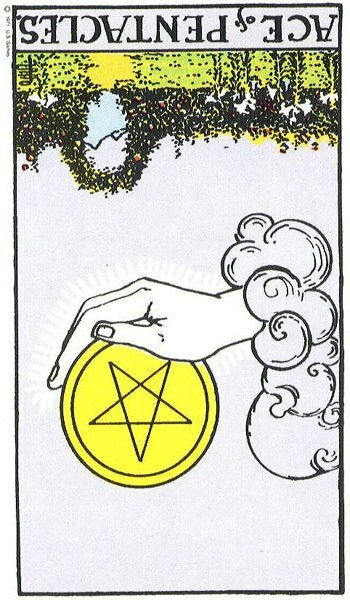 Ace of Pentacles – Plenty of money to buy gifts and nice luxuries. No financial worries. Will have budgeted well for this time of year so there will be no credit card debts in the new year. The beginning of a spending spree! Let’s go shopping! 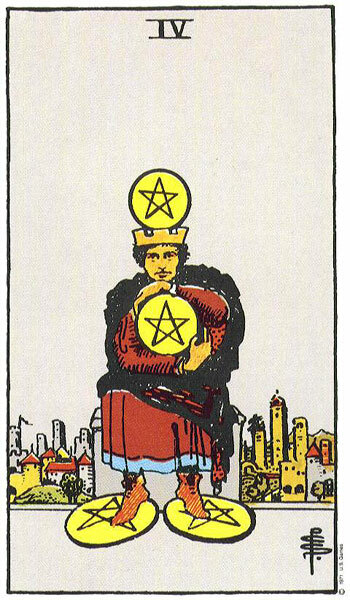 Two of Pentacles – Decisions, Decisions, which gift shall I buy? Giving gifts and receiving gifts, money circulating to the sound of shop tills pinging. A lot of money changing hands. 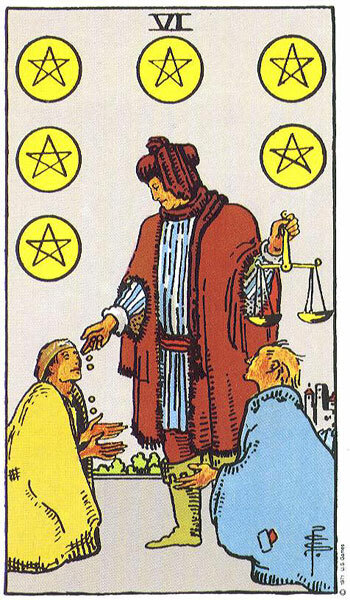 Three of Pentacles – Doing up The House for The Holiday Period, making sure everything is perfect, getting windows and gutters cleaned and stone work power-washed. Wanting to make a good impression on visitors. 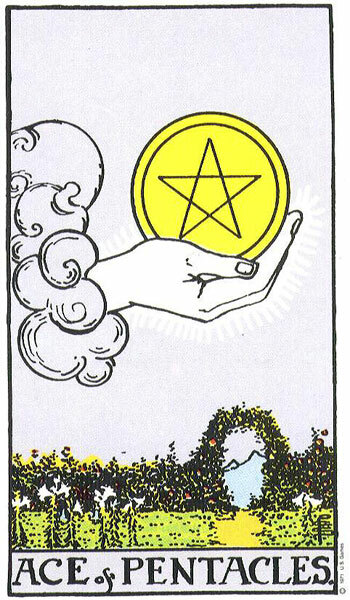 Four of Pentacles – Spending, Spending the money you have saved to buy gifts, being more carefree with money, being open and generous, putting your spare change into the collection boxes at check-outs. 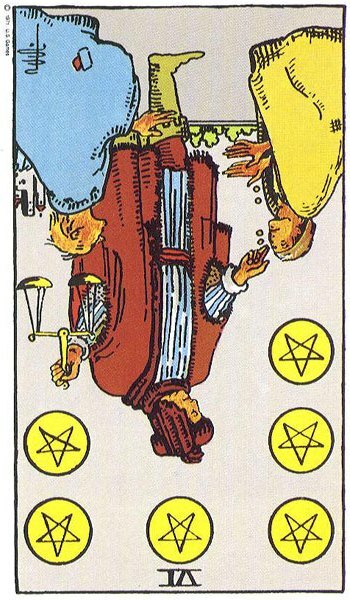 Five of Pentacles Reversed – Spending some time working with the homeless, donating to refuge centres, helping out family members and friends who are in need. Giving without expecting anything in return. 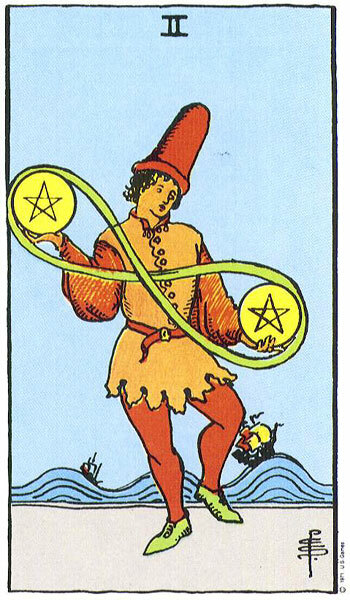 Six of Pentacles – Being Charitable, Donating, Helping the less fortunate, distributing gifts to employees, giving Holiday Bonuses to Employees, Splashing out on The Staff Party. 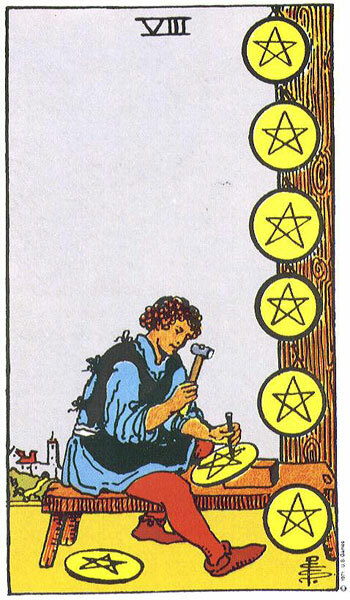 Seven of Pentacles – Taking a well-earned break from work for The Holidays. 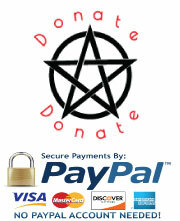 Eight of Pentacles – Working hard to get business matters sorted, orders out and deliveries made before The Holidays. Shop staff working extra opening hours in the rush up to The Holiday Period. Effort being put into making The Holidays a success; decorating, wrapping gifts, writing greeting cards. 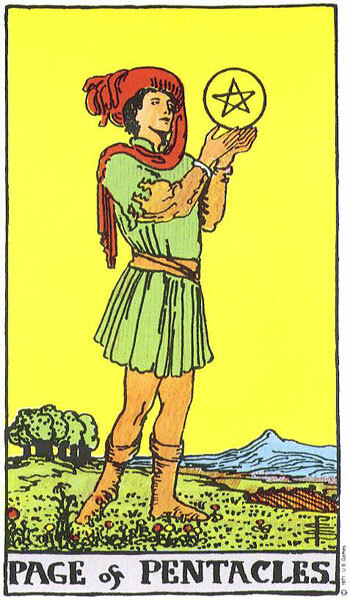 Nine of Pentacles – Getting dressed up in all your finery for the Festive Season. Wearing your best clothes and getting your hair done. Looking well and putting effort into your appearance. Showing off your nicely decorated home to visitors and guests. 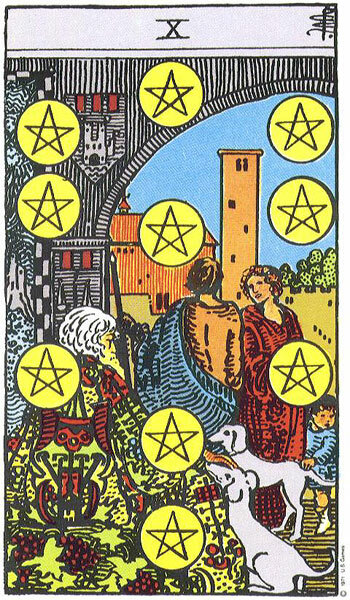 Ten of Pentacles – It’s all about bringing the family together under one roof, family get-togethers and remembering the elder members of the family at this time of year. Gathering of the clan. Family Holiday Traditions. 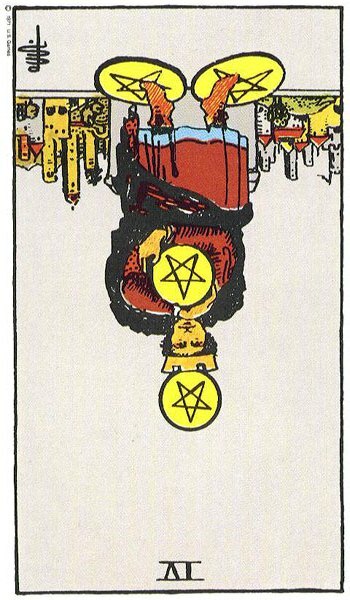 Ace of Pentacles Reversed – Lack of money, not enough money to buy gifts, spending too much, spending more than is coming in, being reckless with money at this time of year and not thinking of the debts that need to be paid in the new year. Losing money, Losing your wallet or purse. Not checking your change or receipt, being overcharged and not paying attention. 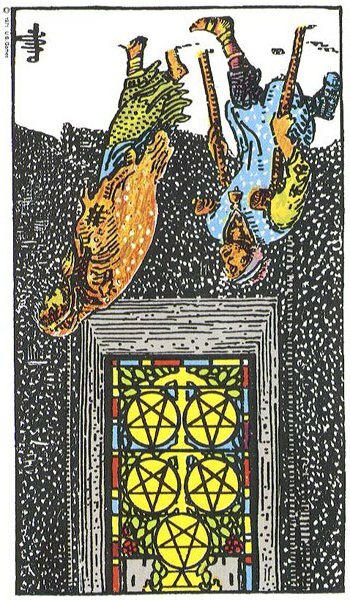 Two of Pentacles Reversed – Struggling to manage finances for The Holiday Period, Not enough money to go around, having to make decisions about who to buy and not buy gifts for. Trying to do too much, working extra jobs to bring the money in. 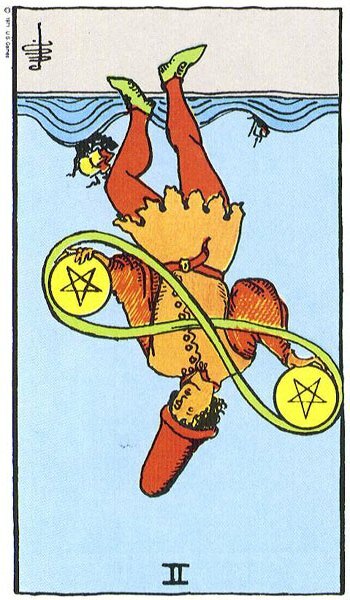 Three of Pentacles Reversed – Making no effort to decorate or have your home looking nice for The Holidays. No interest in the whole thing, would rather be working. 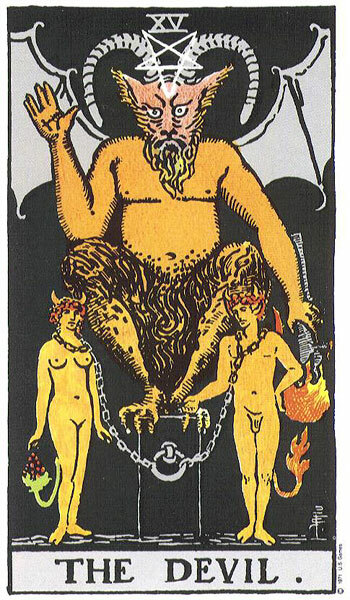 Four of Pentacles – Meanness, not wanting to spend on gifts or nice things for the house, think it is all too commercial, waiting for the sales to start, totally ignoring The Holiday Period, working through the Holidays, no pay bonuses or staff parties. Consider everything a waste of money. 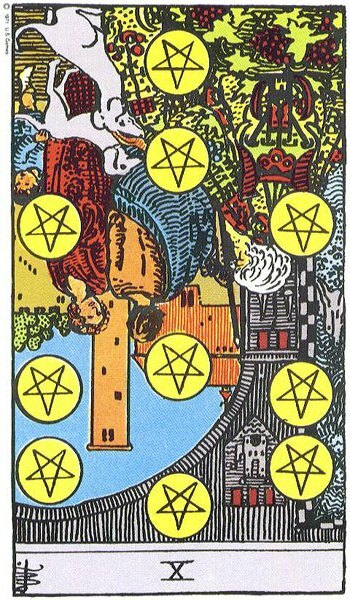 Five of Pentacles – Out of work, Laid off at The Holidays, No money to buy gifts or nice things, Homeless, Poor, Having to watch your family go without at this time of year. Feeling Helpless, down and out. 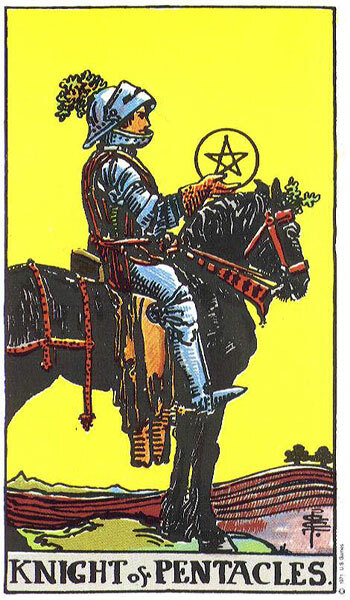 Seven of Pentacles Reversed – Afraid to take time off work in case something happens, A slave to work, having to work over the Holiday Period such as farmers and those involved with horses and other livestock. No rest. No time off. Those who need to work to ensure The Holidays are enjoyed safely by all such as firemen, police, nurses, doctors, search and rescue. Not getting paid Holiday rates. 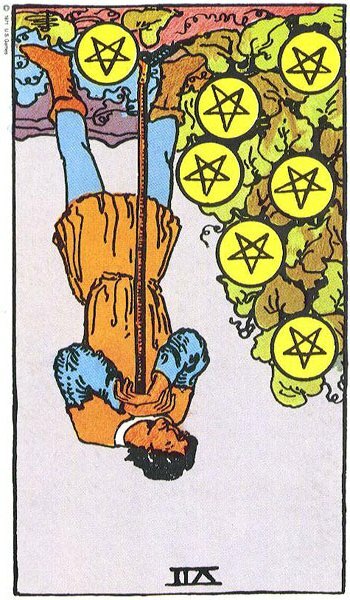 Nine of Pentacles Reversed – Working through The Holidays, not spending any money on yourself, making little or no effort for The Holidays, think it is all a waste of money,Spending more than you have just to keep up appearances, mounting debts. 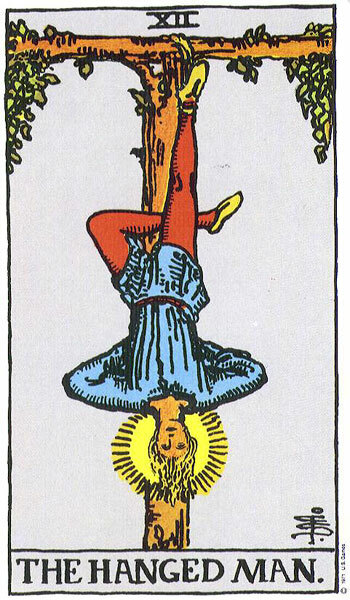 The Hanged Man – Children impatiently counting down the days until the can get their gifts, sacrifices made by parents to get their children their dream gift, turning your back on the material side of The Holidays to focus on the Spiritual, Volunteering over The Holidays. 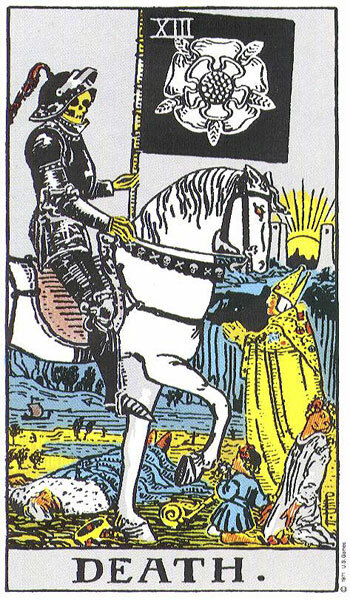 Death – Breaking with Tradition, Breaking Bad Habits, Making some profound changes, Making firm resolutions for change in The New Year, The End of The Old and the beginning of the New. Light a candle for those who are no longer with us. 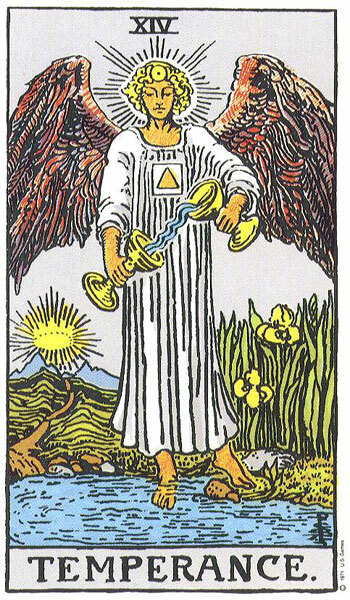 Temperance – Ah, the Angel of balance and moderation. Being mindful of over-indulging during The Holiday Period. This includes making sure not to overspend, over-drink or over-eat, Being mindful of the Religious and Spiritual aspects of The Holidays. The Devil – At the bottom of every bottle of whiskey and gin lurks the Devil. Not giving in to temptation, don’t be fooled into thinking you can spend like the Devil and get away with it, eat, drink and be merry for tomorrow we die are the devil’s words and should be strongly ignored. Remember that it is a Religious and Spiritual time of year and do onto others as you would have them do onto you. Do not get involved in purchasing illegally sourced or stolen goods as gifts. Do a good deed for someone and turn your back on the Devil. 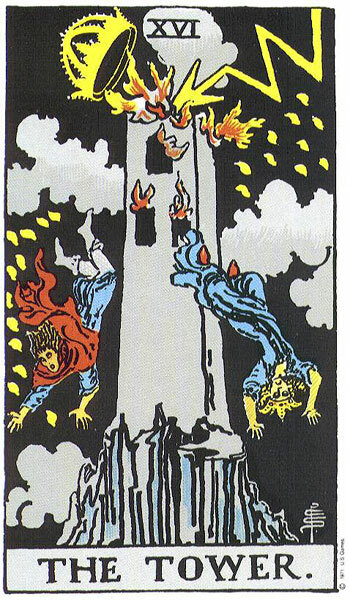 The Tower – Personal Disasters, Natural Disasters and unnecessary tragedies on the roads that seem to increase at this time of year. Take care and put your safety and the safety of others first. Stop the rushing and slow down. Shocking and scandalous revelations made over the family dinner table causing terrible upset and serious fallout for all involved. 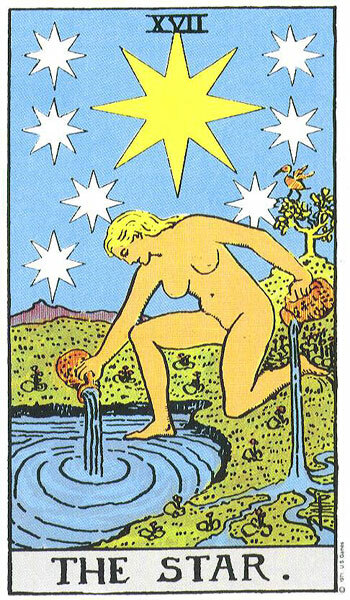 The Star – A time of peace and hope for all. A time to think of our brothers and sisters around the world and the desire for peace for all mankind. Volunteering over the Holidays, being selfless. Taking a break, doing exactly what you want, having a well-earned rest. The Moon – The Holiday Season can trigger depression and lowness for those who are not part of the whole festivities and celebrations. Old memories can surface leaving one feel sad and nostalgic for Holidays past, worrying about what the new year has in store for you. Feeling troubled and isolated. Mother related issues surfacing at this time of year or missing a deceased mother. The Sun – Bright Lights, Twinkling Lights, Bling, Fun, Freedom, Party-time, A time for children to truly enjoy, It’s all about the children, Joy to the world, Celebrations. Judgement – Being Mindful of our Religious and Spiritual duties at this time of the year. Wanting a complete change for the new year, plans to transform yourself, time to look back on the past year and reflect. The World – Family flying in from all over the world just to be together for the Holidays. Happiness, joy, parties, dancing, decorating the house, hanging the wreath on the front door, retreating into your family for the Holidays, inviting friends and neighbours in for social occasions. A wonderful end to a totally successful year. Raise a toast to all mankind. Thanks BB. There is plenty more to come so stay tuned.